Akshay Kumar and Parineeti Chopra starrer Kesari has hit the theatres on March 21, 2019. After getting a fabulous response at the box office, the film has also passed the Monday test and has come out with flying colors. The latest release of Aksnhay Kumar has manage to earn Rs.8 crores on Monday and has made a total of its earnings to Rs. 86.32 crores. With the latest figures, the film is fast inching towards the Rs. 100 crore club. The film has been released across 3600 screens in the country and is doing a great business at the box office. 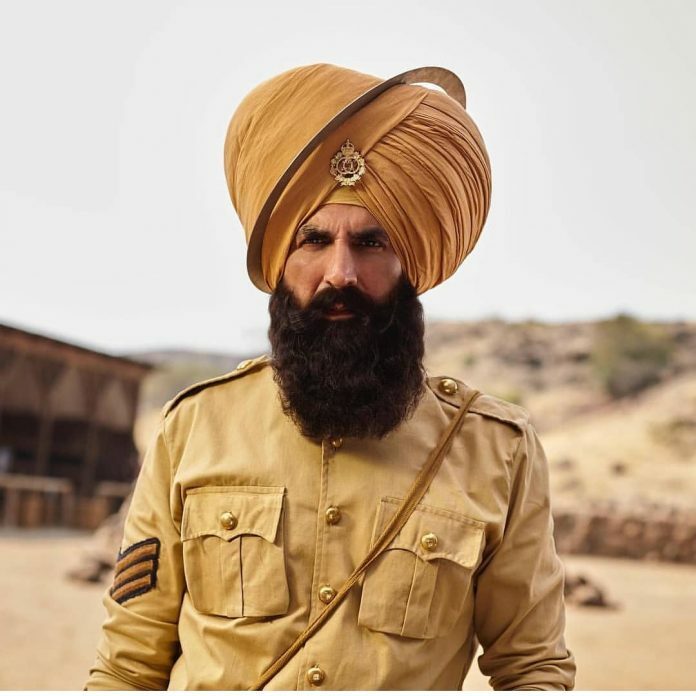 Kesari is high on patriotism and is helmed by Anurag Singh and Akshay can be seen playing the role of Havildar Ishar Singh, who led the 36th Sikh Regiment of the British Indian Army in the Battle of Saragarhi that was fought in 1897. The film narrates the brave story of 21 Sikh soldiers who fought against 10,000 Afghan troops. Parineeti Chopra in the film is seen as the wife of Havildar Ishar Singh. Akshay’s performance has been appreciated by the audience as well as the critics. Samrudhi Ghosh, the India Today critics called Akshay’s character a proverbial glue who holds his regiment and the film together. Akshay Kumar is currently looking forward for his upcoming release Housefull 4.